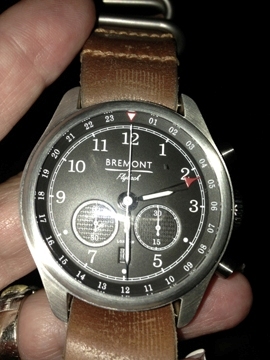 Last night we had the opportunity to spend quality time with our good friends at Bremont Watch Company, and we got the chance to really see and touch the new Codebreaker watch. History lovers are going to go in big for this one—because it celebrates the thousands who worked tirelessly in England during World War II to break the enemy codes and bring the war to a close. 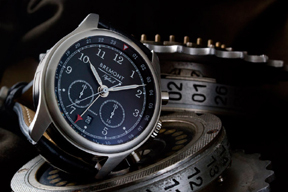 For this watch, Bremont is working closely with the Bletchley Park Trust to create a historically and mechanically important Limited Edition piece that will incorporate historical artifacts from Bletchley Park – the compound where these highly esteemed code breakers and decryption experts carried out their work in complete secrecy. By inventing and using ingenious machines and novel manual techniques to crack German ciphers, the 9,000 scientists, mathematicians and other crucial supporting staff are said to have helped shorten the war by at least two years and to have saved millions of lives. It was only in the 1970’s that the work accomplished at Bletchley Park was allowed to be discussed. incorporates some relevant historical artifacts from Bletchley Park – including pine from the iconic Hut 6 (the center of the operations to decrypt the German Wehrmacht and Luftwaffe Enigma ciphers) for the crown, and paper from one of the few remaining punch cards (used to analyze the vast amount of coded data created from the daily Enigma communications). Part of the rotor of the watch will be made from the wheel of an original Enigma machine. Just 290 Codebreaker watches will be created: 240 in steel and 50 in rose gold. Each of the pieces is already allotted fully to jewelers – so scope out your nearest Bremont retailer if you want in on this unique part of history. 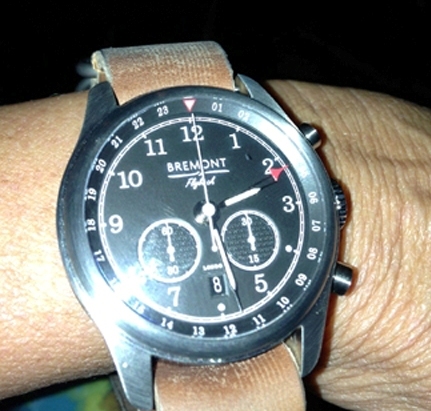 The watch will sell for $18,500 in steel and $33,995 in rose gold.